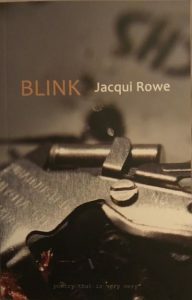 Jacqui Rowe has had four poetry pamphlets published and her poems have appeared widely in magazines, such as Tears in the Fence, Bare Fiction. The Interpreter’s House, and Poetry Review. She has also read her own poems on Radio 4’s Poetry Please. hosted by Roger McGough. Her first full collection, Blink, is published by V Press. Co-founder and co-editor of the award-winning independent press, Flarestack Poets, she is a sought after mentor for other poets and a tutor for the Poetry School. ← Previous Previous post: Gregorian Chant Workshop – Book Now!